Theodore A. Deckert - Mediator & Arbitrator based in West Palm Beach, Florida. If you’d like a list of available dates for Theodore A. Deckert, please submit a request below. Ted Deckert is a Certified County, Circuit Civil and Family Mediator, as well as a Special Magistrate and Qualified Arbitrator. He has practiced law since 1976, with a career focus in litigation and mediation in state and federal courts throughout Florida. He was a Board Certified Civil Trial Lawyer from 1984-2009 and he also holds the distinguished "AV" rating from Martindale-Hubbell. Ted has been a Florida Supreme Court Certified Circuit-Civil and Family Mediator since 2000. He has mediated virtually every type of legal or personal dispute, including PI, insurance, and "non-PI" matters such as family, real estate, probate, construction, employment, contracts and homeowner/condominium association disputes. 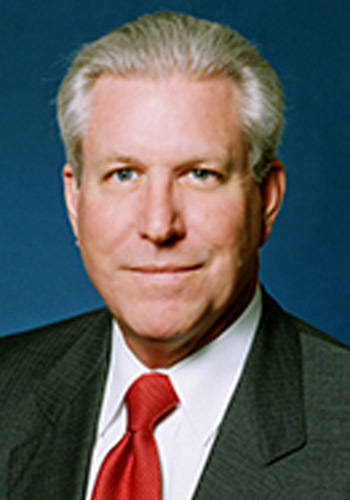 He has represented individuals, corporations, and insurance companies as plaintiffs and defendants in personal injury and wrongful death, negligence, product liability, construction defects, medical and other professional malpractice, insurance coverage, bad faith, civil rights, workers compensation, employment and commercial cases. Ted has completed extensive continuing legal, mediation and negotiation training since his certification and he has spoken on mediation and been a presenter at mediation training seminars. In 2004, he was among a select group of mediators specially trained to mediate hurricane insurance claims in the Hurricane Mediation Program established by the Department of Financial Services of the State of Florida. A native of West Palm Beach, Florida, Ted received both his undergraduate and law degrees from the University of Florida. He is an active member and leader of several professional and charitable organizations. Married and the proud father of four children, he also enjoys spending time with his family and reading, music, gardening and outdoor activities of all types. Afilliated with Matrix Mediation, LLC a full service alternative dispute resolution firm working throughout Florida.